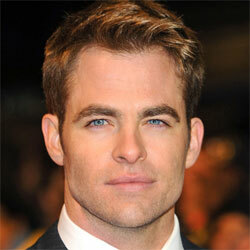 Chris Pine (born 26 August 1980 in Los Angeles, California), is an American actor. He starred in the Star Trek remake trilogy, Jack Ryan: Shadow Recruit, and Into the Woods. Pine is a model for Giorgio Armani fragrances since 2014.